We dont allow dogs any where on the boxes! We do not allow clients to use our boxes to practice loading horses, unless we are there ! Although we are based in Potterton just outside Aberford and near to Leeds and Harrogate in West Yorkshire, we are happy to transport horses anywhere within mainland Britain.We are less than ten minutes from the A1 motorway with links to the A19, A64, M1, and M62 close by making us very acessable, we have been in the transport and horse box hire buisness for the past 10 years and have an extreamly reliable clientel base with new clients coming daily !! On average the cost to keep your box on the road would be over £1,000, thats before laying out a chunk of money to buy your vehicle, money you have to pay whether you use your horse box or not. For this price you can have nine full days hire with us and none of the headaches that go with a vehicles that could be stood for nine months of the year. Our luxury Equi-Trek horse boxes are perfect for transporting up to 2 horses in comfort as they are light and airy with lots of headroom. 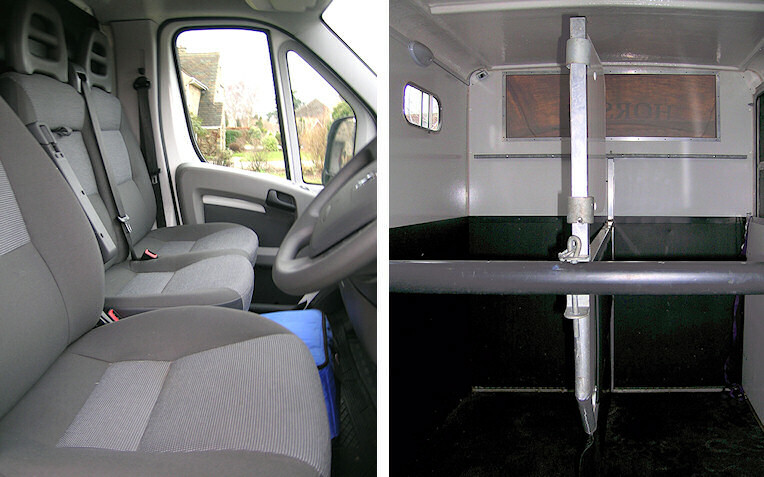 These horse boxes are as easy to drive as a car, extremely economical on fuel, therefore, ideal for self drive hire. We have three sonic horse boxes, on our insurance this box can be driven by anyone 25 years upward to 65. All our vehicles are fitted with security and tracking devices. 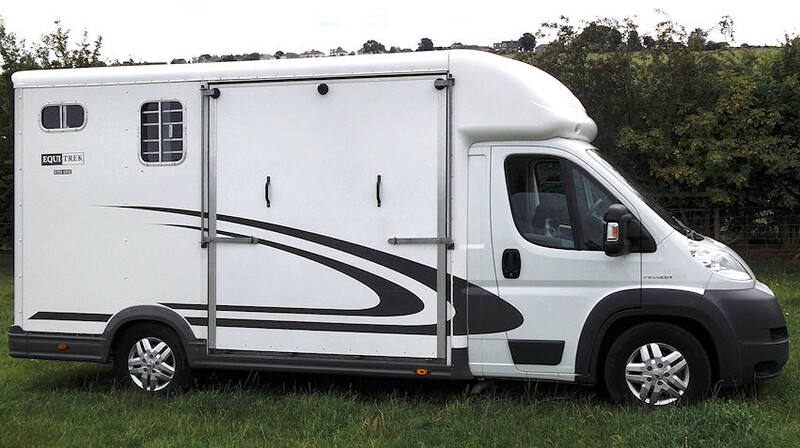 They are all fully insured on hire and reward basis and have full breakdown roadside recovery service with Equine rescue. Any damage caused by horses or hirer will be paid by the hirer !! All horses must travel with their passport at all times. See our terms and conditions. PLEASE NOTE: Our horse boxes do not go out in ice or snow!